Plunge into any horizon using the steadfast guidance of the Invicta Pro Diver. 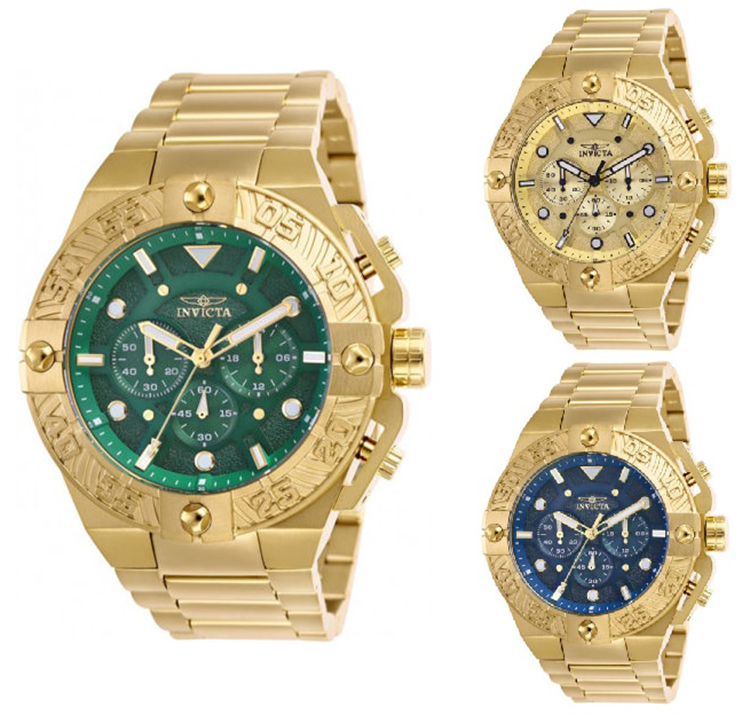 These beautiful timepieces begin with a gold tone stainless steel case that surrounds a blue/green/gold tone dial with luminous hands and dot/stick hour markers. It's protected by flame fusion crystal and powered by Japan quartz movement. It also offers a gold tone stainless steel bracelet secured with a foldover clasp. Finally, this watch boasts of water resistance up to 100 meters / 330 feet.